That’s right. I threw in the towel. Not because I think BeautyBox5 is bad, but like I’ve said before, I definitely think it is important to test out different beauty subscriptions so you can find the right one for you (we all have different needs and preferences… and this one just isn’t exactly my style. So from now on, I’ll only receive monthly boxes from Birchbox, Glossy Box and Test Tube. It’s actually funny that my last BeautyBox5 was my favorite. It featured some great products, but nothing that compared to what the others were sending (for me), so I decided to stick to my gut and respectfully discontinue my subscription. 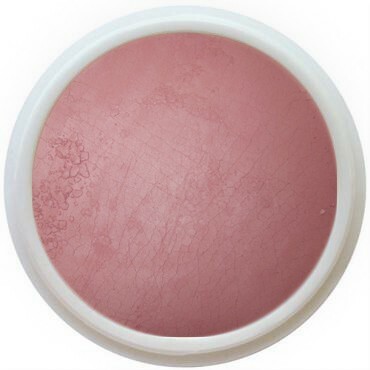 Everyday Minerals Blush in ‘Girl Friday’ $6.99/mini jar (received full size) – There’s no doubt I have a thing for blush. What I love even more is layering different colors. Powders make this really easy. The ‘Girl Friday’ color is really nice because it’s a little deeper than my normal range of colors that I buy, which makes accomplishing a more dramatic look easier. Everyday Minerals is a company I’ve liked for a while now. They have beautiful colors and they are light enough where you can play with them and not look crazy, but instead layer for a darker color, giving you more control. 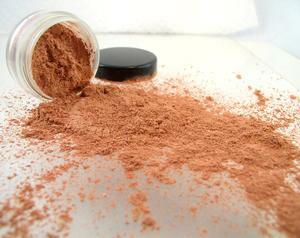 The All Natural Face Vegan Mineral Eyeshadow in Just Peachy $3.99/5 gram jar (received full size) – I definitely unfairly pre-judged this one. 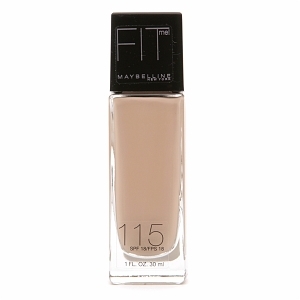 I’ve had really bad experiences with vegan cosmetics before where I’ve seriously felt like I was using something so ridiculous like grains of salt on my eyelids and have even broken out from a similar product, BUT I have to say I love this color and I’ve been using it daily. The color is very subtle and layers really nicely. It’s the perfect symmetry of orange and pink, which was missing from my collection and will be very useful for Summer. I’ve even been using it on my cheeks! 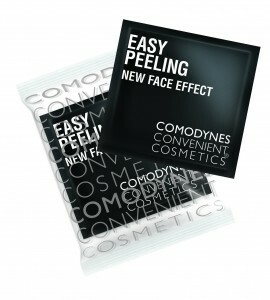 Comodynes Easy Peeling New Face Effect $12.99/8 sheets (received 1 sheet) – I was really intrigued with this and have actually decided I would buy this again. I love exfoliating and appreciate the soft skin it leaves behind. What I don’t like about exfoliating is that often times it’s really messy. 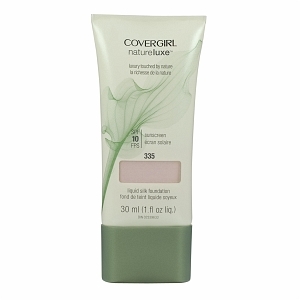 Because this is a sheet that you rub over your face, it eliminates the mess, which is great! What I will say about this is that it is really rough. It felt very abrasive, which I couldn’t decide if I loved (because it was doing its’ job) or hated (because it kind of hurt). My skin did feel really soft though about 15 minutes after use, so I’m eager to see what would happen if I used it weekly… it was hard to judge with just 1 sheet. 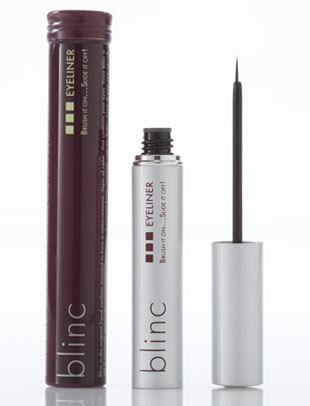 Blinc Eyeliner $25/.21 oz (received small sample tube) – The positives of this eyeliner are that it definitely lasts a long time and goes on dark, but there are a few reasons I wouldn’t buy this product again. For one thing, you have to be patient when you apply it. 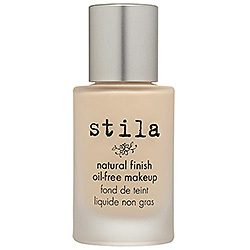 Wait for it to dry or else you’ll undoubtedly make a mess of your makeup, which is probably more an issue on my part leaving only the very least amount of time to apply makeup in the morning and even 30 extra seconds seems impossible. Also, the brush is very flexible. When I’m putting on dark liquid liner, it’s helpful to have a stronger wand that won’t accidentally flop over and create a vertical line making you look ridiculous and usually causing you to start your eye makeup all over again. Lastly, and this one isn’t necessarily 100% negative, when you do take it off, it almost peels off in little pieces, much like paint. The reason this bothers me is that I inevitably miss some in the inner part of my eye and wake up with stringy black leftover makeup in my eyes, which is not the way I like to start my day. 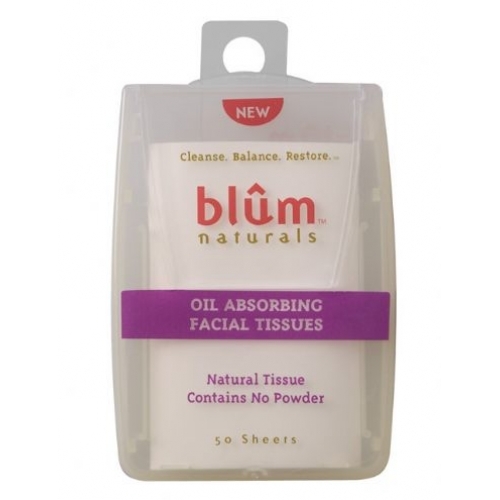 Blum Naturals Oil Absorbing Facial Tissues $3.90/50 sheets (received full size) – I’m pretty sure the last time I used an oil absorbing sheet was in high school when Jennifer Love Hewitt was doing the Neutrogena commercials and those little blue oil sheets seemed cool. Although I admit I initially bought them purely because I had a serious obsession with the movie Can’t Hardly Wait, what I loved about them (although kinda gross) was that there was visual confirmation that they were working. 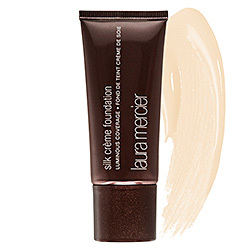 The oil became apparent as you slid it across your face and it felt like it was working. This product doesn’t do that. For me, it just felt like I was rubbing tissue paper all over my face, but it could just be the fact that I don’t have particularly oily skin (I actually am usually looking to help with dryness). This past weekend marked the first full weekend of Summer and if it is any indication of what’s to come, then the upcoming months will be packed in with fun projects, lots of work and time with friends. I feel like every minute was taken and the rush was exhausting, but productive and exciting too. Saturday night after a full day of work I rushed over to Santa Monica High School to meet up with friends to watch The Big Lebowski (can’t believe I had never seen it!) outdoors at the school’s amphitheater. I had heard of these events, but never attended. It was a great way to mix up a movie night, especially with the variety of food trucks that were there for everyone’s enjoyment! Only suggestion? 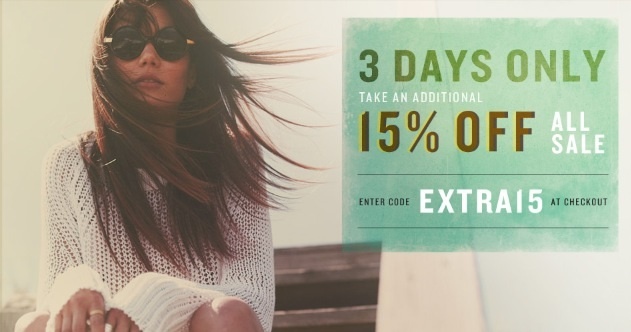 Bring a beach chair and a blanket… it gets cold. 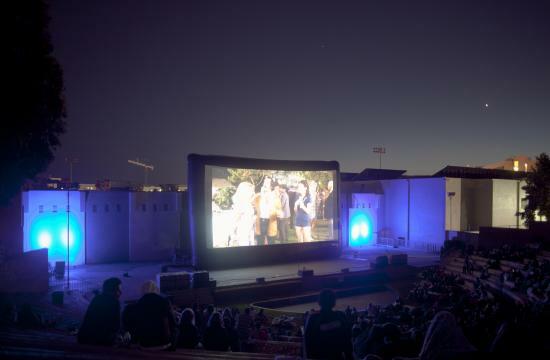 If you’re in L.A., check out this website to see where you can catch the next outdoor film. Happy Summer! This year is going by at a terrifyingly fast pace. I’m constantly saying that, but it seriously feels to become more and more true as I get older. If you’ve been reading this blog somewhat consistently, you know I love trying out new things – restaurants, beauty products, scoring a deal on a new top, etc., but there are certain things I have found to work for me that I stay very loyal to. I’ve always had a thing for calendars, and although most of my schedule is on my phone for convenience, I feel more organized and on top of things if I can physically write the things I need to do on a large calendar. My absolute favorite is the Paper Source Academic Great Big Wall Calendar $29.95, that normally sits below my laptop. Of course I stock up on new Gel Pens to color coordinate for the new year as well, and the light brown paper really makes the colors pop! In the past, I’ve run into trouble forgetting to order one in time and finding myself a quarter into the new year feeling lost because it has been sold out, so last year I decided to sign up for an email reminder, which I just got! I love Paper Source for fun gifts, stationary, and find this particular product useful because it is big enough to pack in my busy days within its’ squares and also write notes on the side. I like to put a small resolution on each month’s notes column like “Drink More Water” or “Clean One Drawer/Week” to remind myself that little goals are easier to obtain. I’m experienced enough to know that year-long resolutions (at least for me) go right out the window. Birchbox is definitely one of my favorite beauty subscriptions (although I recently got the news that my first Glossybox will be coming this month – so excited!). I think you definitely have to do your research when deciding which mailers are right for you and maybe even test out a few for a couple months to get a feel for what kinds of brands the company works with and what types of products you’ll be sent. For June’s box, I received a variety of different products that I’m using more than any other samples I’ve gotten in the past. I reviewed them below in preferential order. 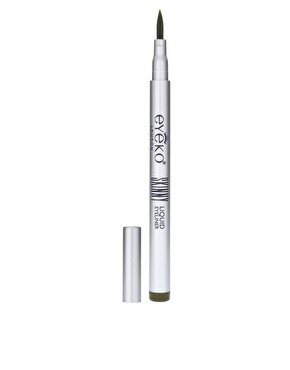 Eyeko Skinny Liquid Liner ($16.57/full size, received full size) – LOVE this liner. It’s incredibly thin and easy to apply. 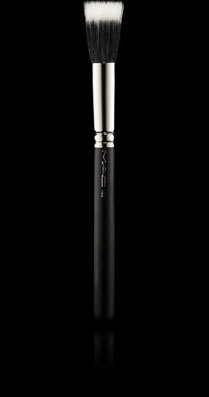 Ideal for achieving cat eye looks as the incredibly fine point allows you to really focus on being precise. I will absolutely buy this again. 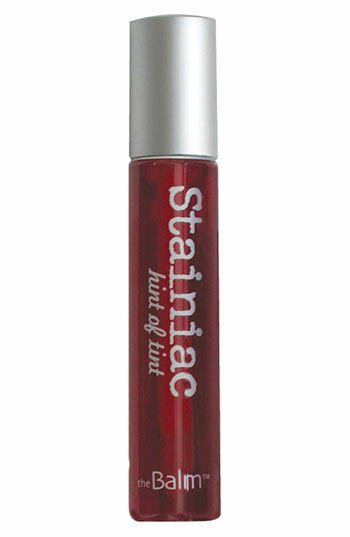 theBalm Cosmetics Stainiac in Beauty Queen ($17/.3 fl oz, received .04 fl oz) – Like a lot of lip/cheek stains, this product is water based and just gives you a little hint of color. I like it, but more often prefer a more saturated look. I do use it to layer on a pigmented blush however, and really like to use it on my lips for days I just want a little color. 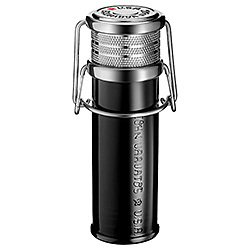 If you are nervous about wearing a bright red lipstick, but want to test out the look, this would be a great gateway. 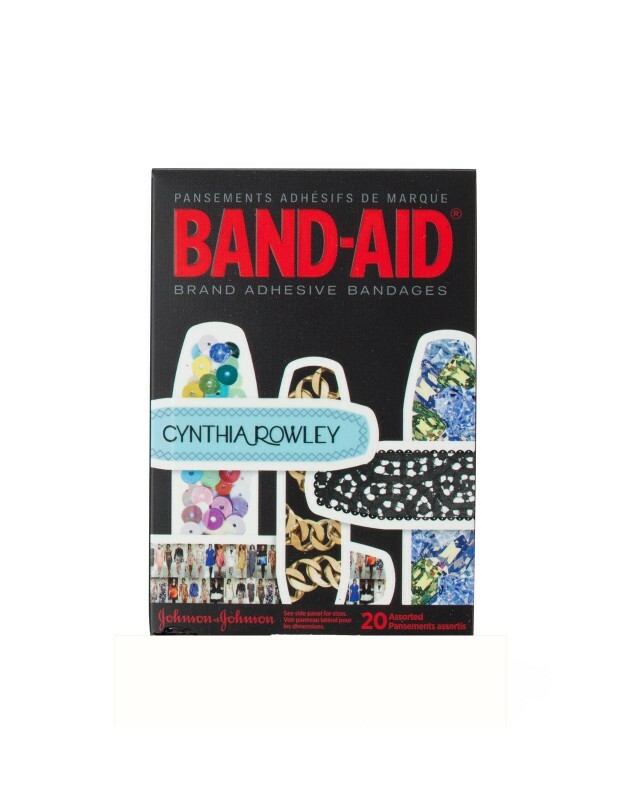 Cynthia Rowley Dress Up Band Aids ($5/pack of 20, received full size) – I’ll admit I considered knicking my legs while shaving just so I could use one of these. I love the faux section and lace patterns and think this is such a fun alternative to a normally boring product. I ended up just sporting one on my finger a couple days ago covering up a perfectly fine pointer. 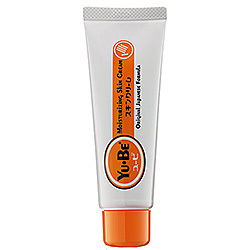 Yu-Be Moisturizing Skin Cream ($16/1.25, received .1 fl oz) – This product out of Japan is really effective. It’s ultra-healing and rejuvenating formula contains camphor, vitamin B2 and vitamin E making it ideal for dry skin, calluses, cracks, burns, scars, etc. I have a horrible habit of biting my nails so I have been putting this on my cuticles every night and can really tell a difference. Definitely a good thing to have around. Melvita Rose Floral Water ($18.80/6.76 fl oz, received .95 fl oz) – I have mixed feeling about these toner/refresher sprays. They definitely rejuvenate the face and set nicely before moisturizing, however I’ve never been too keen on spending my money on a product that is essentially just a glorified water. 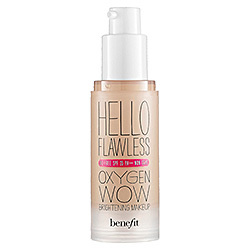 The sample is nice, however, and it is an organic product, but I’ve been using it all week and find the benefit is mostly just from the refreshing feeling you get when applied. 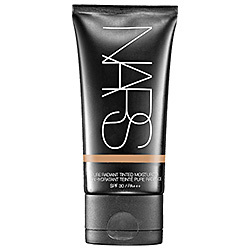 John Varvatos Star USA Eae de Toilette ($55/1.7 fl oz, received .04 fl oz) – Birchbox threw in this extra sample for the boys, promoting their BirchMan launch just in time for Father’s Day. I was pleasantly surprised by this scent. It’s masculine and rustic, but not too strong. Definitely a good gift, especially for a guy who doesn’t usually wear cologne and wants to try something more subtle and across the board attractive. Foundation is amazing. 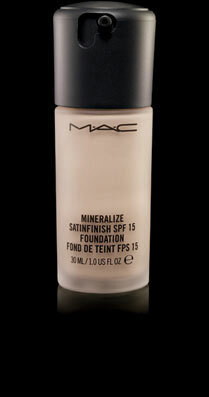 It transforms your look and evens out the most unbalanced skin tones. HOWEVER, it is perhaps the hardest (at least I think so) process to master. We’ve all seen people out with a streaky foundation or one that makes the face look flawless, but the neck look white. There’s just so many places to go wrong. It’s VERY important to test before you buy foundation and one very important trick is to stock up on a few varying shades to interchange as your skin gets tanner/lighter. I also find it really helpful to use either a brush or a blender. 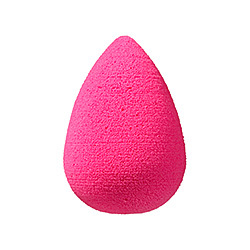 My favorites are either the BeautyBlender ($19.95) and the MAC 188 Small Duo Fibre Face Brush ($34). Use clean hands and start with less then you think you need. There’s always time to add more, but applying too much will result in starting all over or going out looking like a clown. I have had the best success by using the MAC brush to dab into the product, then start at my nose, progressing to my cheeks. Next, I cover my jaw-line, neck and ears (don’t leave out places like ears, neck and hairline – it makes your makeup look cakey and not blended/natural). Lastly, I cover my forehead. After my whole face/neck is covered, I use the beauty blender to make sure there aren’t any streaks. 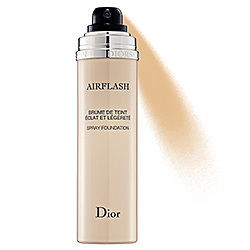 People have different theories on the next step, but I find it crucial to air out my foundation by waving my hands in front of my face for 60 seconds (I literally count out loud and yes, this is somewhat superstitious) before setting it in a loose powder. As I get more and more into my beauty subscriptions, I’ve been curious what other kinds of delivery services are available to enhance my home. I figured there would have to be mailers to update the house in even a small way, as the convenience of these things are worth the price. 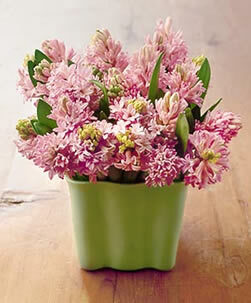 I was thrilled to find information on Flower Maid, a Los Angeles based weekly or bi-weekly flower subscription. Prices range from $10-20/week depending on size and how many types of fresh cut flowers that you arrange yourself, or subscribe to already done bouquets for $15-30/week. For East Coast readers, H. Bloom is a great company that does the same thing ($29-85/bouquet depending on flower choices) or pay for a full year in advance conveniently at Calyx Flowers ($479.95 for full year or $269.95/6 months). 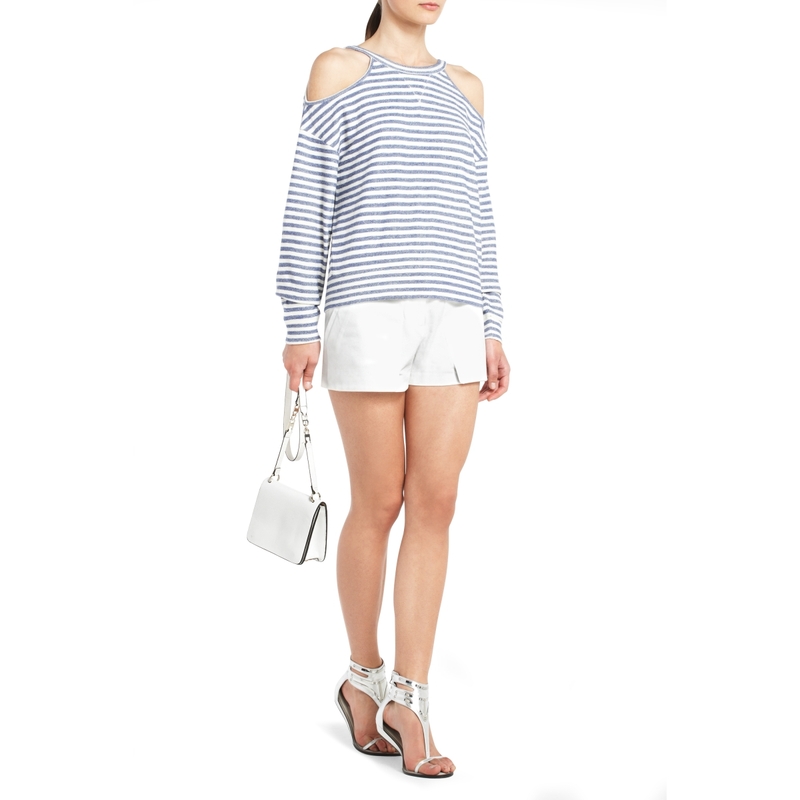 Dying for these Rebecca Minkoff Drew Cage Heels ($325). 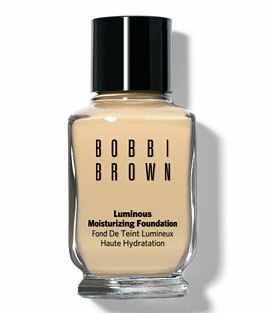 So long to the days of chipped manicures and (un)-patiently waiting at nail salons for your top coat to dry! Gel nails make me so happy. Their introduction into the beauty world a few years ago was seriously revolutionary for me, as I can’t remember the last regular manicure I got that didn’t get messed up the day of. Gel manicures last for weeks (insanely longer than normal) and my personal favorite part? 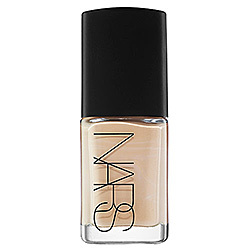 Leave the nail appointment with dry nails immediately after application! No more waving hands in the air or holding them under a mini fan!! 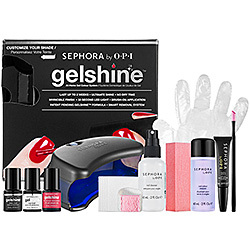 Well, now the ‘Beauty Gods’ have taken it to the next level by unveiling Sephora’s OPI Gelshine At-Home Gel Colour System ($159). This kit comes with all the essentials to DIY, including a base coat, top coat, LED light, gloves, cuticle oil, cuticle pusher, nail cleanser, nail wraps, nail pads, buffing block and nail/gel colour remover. You add your nail color of choice here and then they will take $17.50 (the price of 1 polish) off at checkout.